spring cleaning season is here! the fresh air and sunshine of spring always motivates me to tidy up and get organized. without a plan, though, spring cleaning can seem very overwhelming. 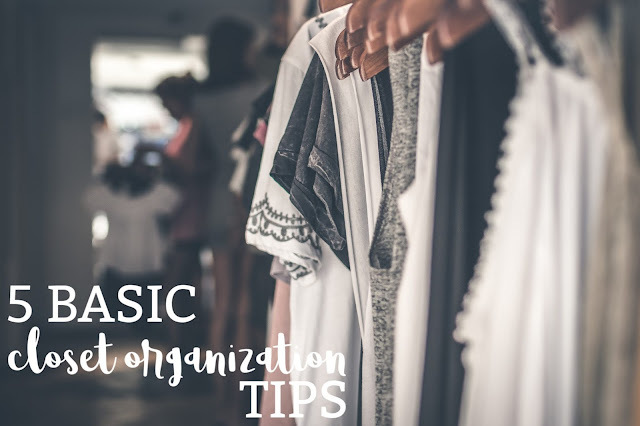 i recommend making a list of the areas of your home/space that you want to organize and taking your time focusing on one area at a time, from start to finish. here's a bonus tip: give yourself plenty of grace! it might be called "spring" cleaning, but it could very well take multiple seasons to accomplish! and that's okay. most organization projects are ongoing. just start somewhere. i started in my closet. it's an area where i have the most control over, since i'm the one who uses it daily. maybe this is a good place for you to start, too? 3 // group like items. 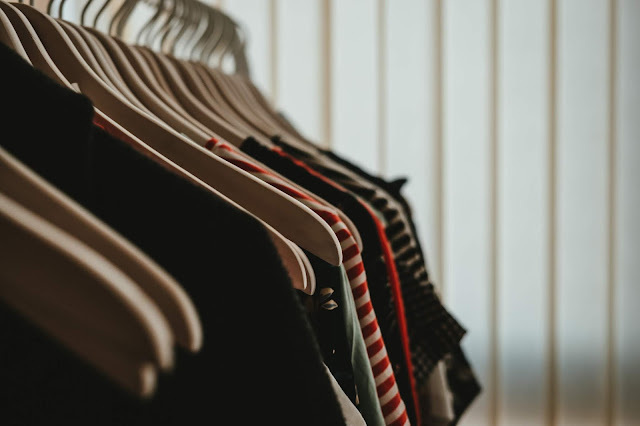 short sleeves are hanging next to other short sleeves, cardigans with cardigans, dresses with dresses, athletic shoes with athletic shoes, scarves with scarves, and so forth. section things together like in a neatly organized department store. even my pants are hanging with similar style/color pants. when like items are together, you can go into the closet for something specific and know right where to look for it. 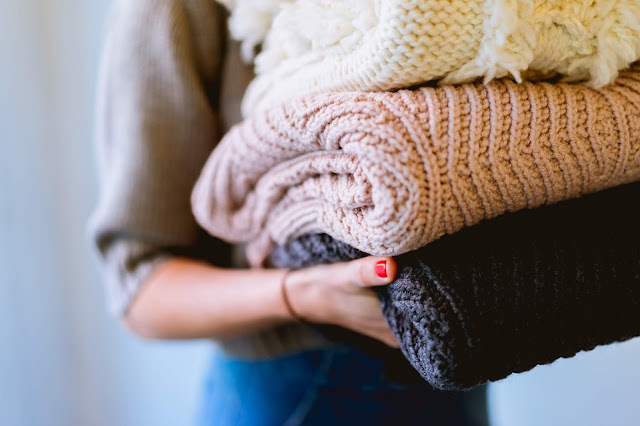 this solves the problem of not being able to find that black short sleeved shirt, for example, because it's tucked and hidden among colored sweaters and dresses. everything in it's place and a place for everything, they say. 4 // upgrade your hangers. we made the switch a few years ago from plastic hangers to the soft felt hangers. they are non-slip, super thin so they consolidate space, and they make the closet look so tidy and uniform. felt hangers can be found reasonably priced at Costco and on Amazon. resale shops and donation centers will usually accept plastic hangers gladly! 5 // the floor is lava. inspired by a silly game my kids taught me, this is a useful (yet silly) phrase to keep the closet floor clean and clear of discarded clothing and shoes. this is where i struggle! some people have a chair or exercise machine where they toss clothes to be put away later. (no no) my clothes land on the side of the bathtub or the closet floor, and pile up until i finally take the time to put them away or hang them up. i can't stand it! it's stressful! i'm much happier when my closet floor is clean and clear, and i can walk in it without stepping on clothes! so, i use my imagination and pretend the floor is lava and if i leave my clothes there they will melt into burning hot oblivion. :) it helps. and makes me smile. a clutter-free space cultivates a clutter-free mind and a clutter-free heart. there's actual science behind why keeping our areas organized brings us joy. the organization and cleanliness of our homes contribute to our physical health, sleep patterns, energy levels, boosts creativity, lifts depression, increases our ability to focus (less distractions), enables goal-setting and follow through, and gives a sense of overall peace. chaos in our living spaces cause chaos in our mental, emotional, physical, and spiritual space. a space burdened with belongings muddles our minds and weighs heavy on our hearts. it's very possible that our physical and emotional symptoms are related to the disorganization of our living spaces, which means taking the time to tidy a room can be healing. start by asking God to show you the areas of your home that need spring cleaning, and trust that He will lead you to a peace that surpasses all understanding. you do the practical cleaning and let God do the heart cleansing.